Mélanie Lê Phan has worked for CBC Television in both Scripted and Unscripted programming since 2013. 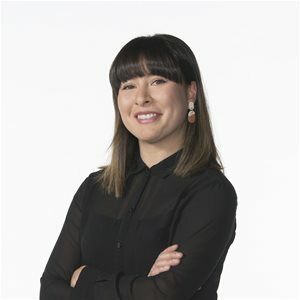 She is currently an Executive in Charge of Production for Scripted Digital Originals, overseeing production and development of mid-length series for CBC's OTT player and of social video for the CBC Comedy feed. She has recently worked on the fourth season of The Amazing Gayl Pile and the second season of My 90-Year-Old Roommate in addition to other digital scripted series. Mélanie has also worked on digital unscripted content, including the doc series The Artists and several CBC Docs: Shorts one-offs including Vika and The Haircut, both official selections at Hot Docs 2018. She has previously held the position of Development Manager for Factual programming and CBC Docs (Firsthand, The Nature of Things). Prior to joining the CBC, Mélanie worked for the CMPA - BC Producer’s Branch and held various roles in independent production. She currently serves on the Board of Directors for Images Festival in Toronto, the largest experimental film festival in North America.